Cat Chow "Hairball Control" 1,5 кг 459 р. Cat Chow "Hairball Control" 15 кг 4399 р. Cat Chow "Hairball Control" 400 гр 130 р. Cat Chow "Sensitive" 1,5 кг 459 р. Cat Chow "Sensitive" 15 кг 4399 р. Cat Chow "Sensitive" 400 гр 130 р. 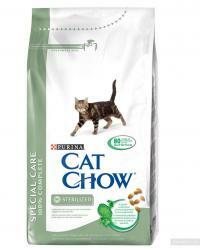 Cat Chow "Special Care Feline" 3 в 1 400 гр 130 р. 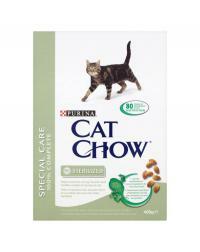 Cat Chow "Special Care Feline" 3 в 2 1,5 кг 459 р. 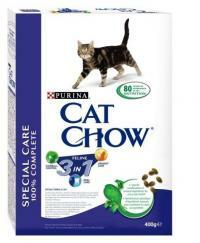 Cat Chow "Special Care Feline" 3 в 3 15 кг 4399 р. 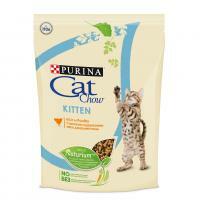 Cat Chow "Urinary Tract Health" 1,5 кг 459 р. Cat Chow "Urinary Tract Health" 15 кг 4399 р. Cat Chow "Urinary Tract Health" 400 гр 130 р. 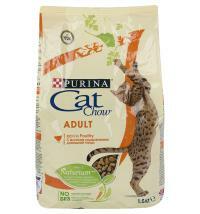 Cat Chow Adult Домашняя птица 1,5 кг 429 р. Cat Chow Adult Домашняя птица 15 кг 3559 р. Cat Chow Adult Домашняя птица 400 гр 105 р.